First time offered for resale in this popular Plymouth Township neighborhood! 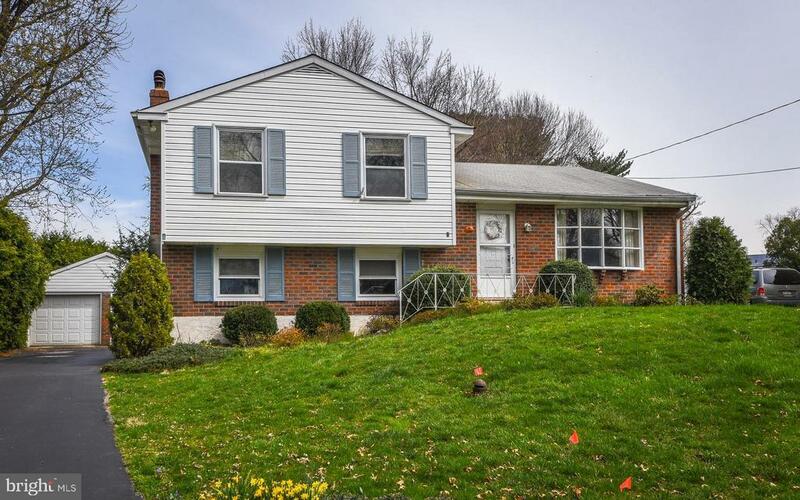 This 3 Bedroom 1.5 bath split level home has been lovingly maintained. From the moment you turn onto the cul-de-sac street, you will know, this is the one. Head up the drive and take note of the detached oversized two car garage with loft storage. You can also take a sneak peak at the large rear yard. Then head over to the side door, which is what the family always used for its comings and goings. Youll enter the laundry / mudroom area, passing by the convenient powder room before hitting your spacious Family Room with wood burning brick fireplace. From here you could go down another level to the huge, unfinished basement with french drain system, and newer gas forced air furnace. Storage potential galore on this level. Head back up two sets of steps to the main living level. Here you will find the Living Room, Dining Room, and Kitchen. The owners just had all the carpets removed to reveal the pristine, like new, hardwood floors! Head upstairs to the bedroom level. Here you will find the Hall Full Bathroom to your right. When building the home, the owner took the option to have the bathroom connected to the master bedroom. Also, in the master bedroom, they chose the option of a walk in closet versus a master bath, but the space is there to add a master bath! This home is just waiting for its next family to move on in and call it home! Popular Colonial School District! Close to all major arteries and Shopping. Make an appointment today!